A Google search on “best places to hunt wild bobwhite quail” returns 397,000 results (Gun Dog magazine, Quail Forever, state agencies, etc. 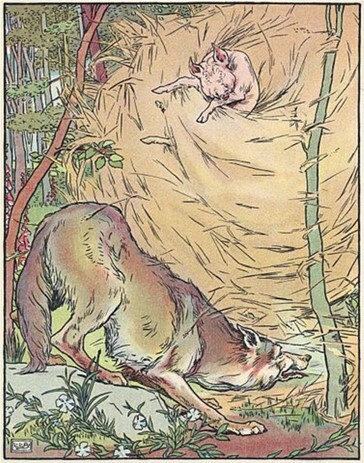 ), but you will not find NBCI’s www.quailcount.org. 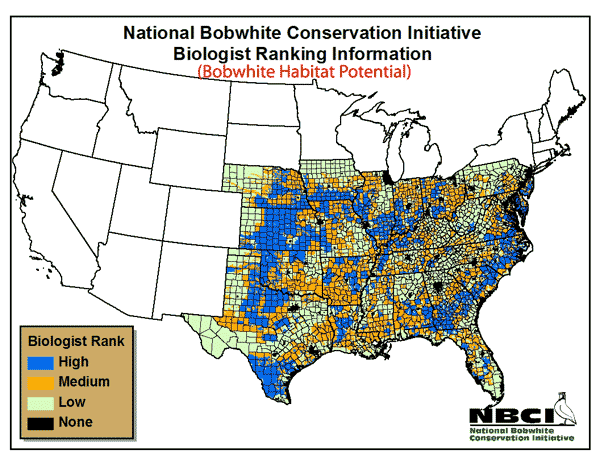 Some of the hottest bobwhite populations in the country are contained in NBCI’s Coordinated Implementation Program (CIP) spatial database, and they are classified as TOP SECRET. 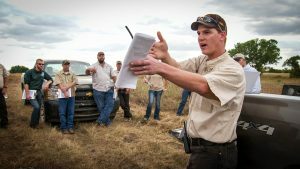 Secrecy is a primary responsibility of NBCI to CIP participants–private and public landowners, and many biologists who toil to create the habitat to produce the quail and count them. State agency coordinators of NBCI CIP projects control how much information is publicized via an NBCI data sharing agreement, which goes into effect in 2019. How many quail? 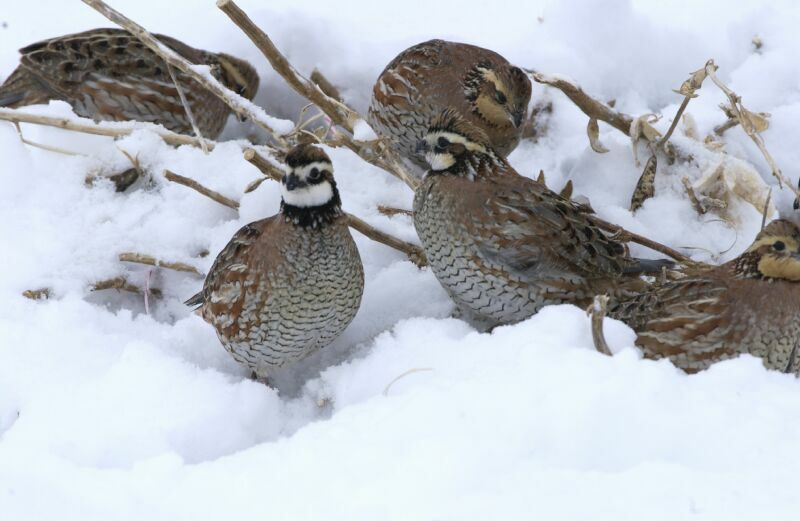 For the best CIP listening stations, where quail can be heard calling about 547 yards away (or 194 acres), 8 or more calling coveys have been heard 43 times during fall covey counts in the past few years. An essential part of CIP is that any one listening station is a small part of a large 1,500- to 20,000-acre focal area of habitat. 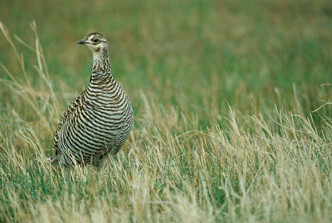 If the quail locations are secret and not used for hunting, what is the purpose of CIP? 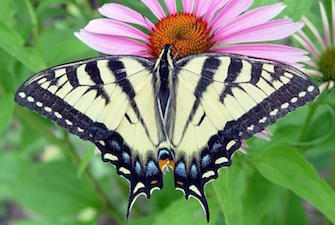 CIP is providing best management practices, primarily for habitat, so that anyone can experience an abundance of coveys. 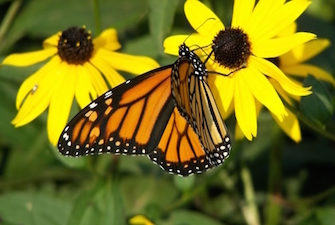 The CIP proof-of-concept project is in its 5th year, and soon NBCI and CIP state agency projects will be publicizing their results as part of a 10-year monitoring plan. Preliminary results for one CIP focal area suggest a record high quail density across 30-years of the state’s intensive quail monitoring programs. Headlines with record numbers of anything lead to questions about accuracy, reliability, exaggeration, etc. The CIP is standardized across the country and is backed by decades of research, rigorous protocol, training, independent analysis, peer review by committees and boards within the NBCI and National Bobwhite Technical Committee (www.bringbackbobwhites.org), and ultimately by publication in peer-reviewed scientific journals, such as the National Quail Symposium (https://trace.tennessee.edu/nqsp/). Independent analysis is provided by contract with Dr. James Martin, University of Georgia. To improve the reliability of CIP data, NBCI just published an online covey count manual (https://www.quailcount.org/monitoring/fallcovey.html). 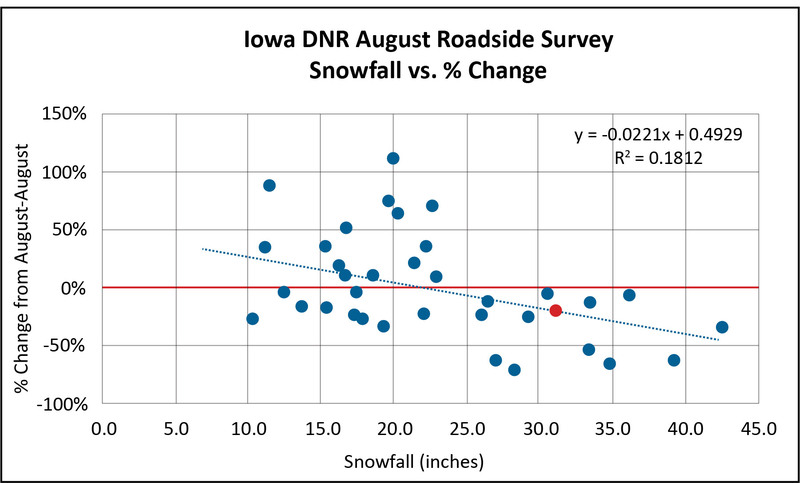 As described in the manual, measuring quail abundance after the summer hatch is the bedrock of quail management, and this is illustrated by the fact that much of the covey count research cited in the manual was conducted by university students or staff biologists who are now biologists collecting fall covey count data. These biologists include Dr. Steve DeMaso, Dr. Josh Rusk, and Beth Emmerich, collecting CIP data, and Rick Hamrick and Shane Wellendorf, collecting non-CIP data. During fall 2017, 127 different observers collected CIP data, so the sound research foundation developed by these biologists is very important. 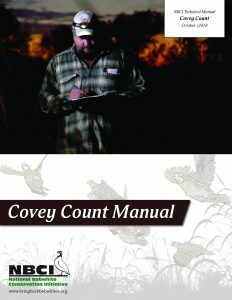 The new covey count manual is aimed at biologists, but it also has professional videos of actual pre-dawn covey counts and in-field training. 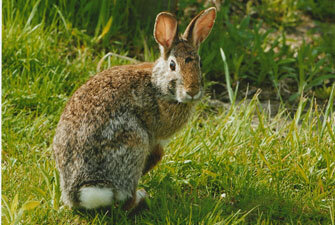 It includes details about bobwhite behavior, including the “koi lee” call. Most of the CIP protocol provides a systematic measurement approach useful to anyone. 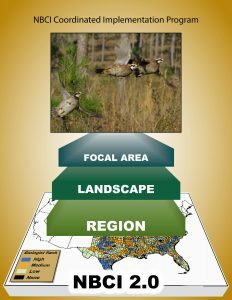 Highlights of CIP are published annually in the NBCI Bobwhite Almanac (available online at https://bringbackbobwhites.org/download-category/state-of-the-bobwhite-reports/). Not all is secret about NBCI CIP covey count locations. Some listening stations could be published, for example, CIP focal areas that are not open to hunting, such as Pea Ridge National Military Park (National Park Service/Arkansas Game and Fish Department) and Delaware Division of Wildlife’s Cedar Swamp NBCI Focal Area. Cedar Swamp’s remarkably high covey count is featured in the 2018 NBCI Bobwhite Almanac. 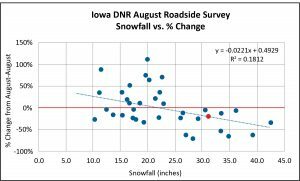 Where is that state-record-high quail population? 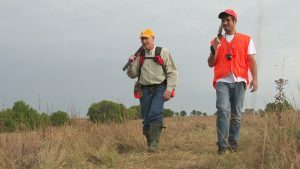 We can tell you it’s a state west of the Mississippi River that has armadillos, that the focal area has quail hunting, and that during the next 5-year CIP analysis segment, you will learn how you, too, can produce record-high quail populations. 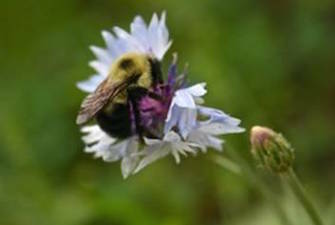 In working here at the University of Tennessee’s Center for Native Grasslands Management (for nearly a dozen years now), I have focused on trying to develop a body of research that addresses two basic things – how native grasses work in forage production systems and how wildlife respond to them in that setting. Both issues are important from where I sit. If they have no value to producers – as a forage, not as a conservation tool – then it really does not make a great deal of difference how valuable they may be for wildlife conservation. No one will use them. 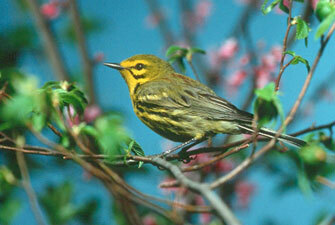 On the other hand, if they produce great forage, but have little or no value for wildlife, then the conservation community may need to look for other places to spend its energy. On the forage side, we have done a great deal of research, published that research, and have made the results available in popular formats including technical bulletins, web blogs for our Beef and Forage Center, articles in forage trade journals, a large number of training sessions for professionals, and workshops for cattlemen. My goal in all of this is to be sure the forage community understands what native grass forages are, what they are not, how to best integrate them into existing production systems, and hopefully, to de-mystify them. Really, if we can get folks to simply look at them objectively as another forage tool – with their own strengths and own weaknesses – we will have done ourselves and forage producers (in MHO) a good turn. And for the conservation community, this same information will hopefully help us to understand their role more clearly and provide landowners with better information. Needless to say, this is a long journey. And unfortunately, as I have told many of you through the years, I often encounter cultural resistance to the idea of native grass forages. Maybe it’s like trying to convince a setter man to run pointers, or a Vols fan to pull for Bama? Whatever it is, it can be disheartening. Part of that long road. At other times though, it can be encouraging, when things seem to come together, when there are signs of progress. 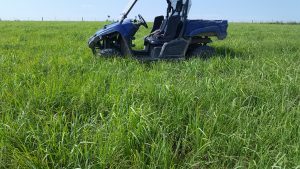 So when I got an email with a piece on native grasses forages as the lead story of an e-version of a major forage magazine recently, I figured maybe we had finally arrived. Not seriously, just a stray thought in my mind. 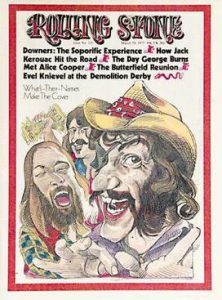 But how that story got to this magazine is interesting. 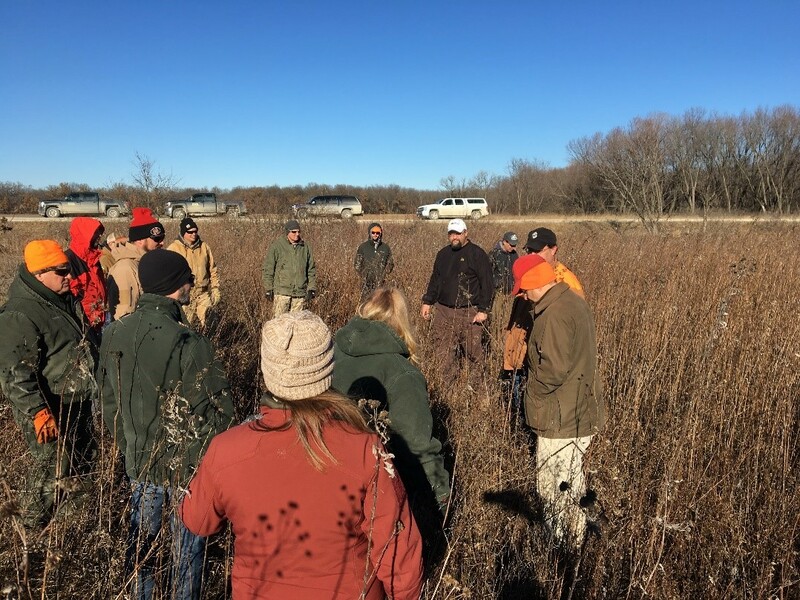 Our field tour on native grasses – a producer’s farm where he has been managing switchgrass pastures for about 5 years. 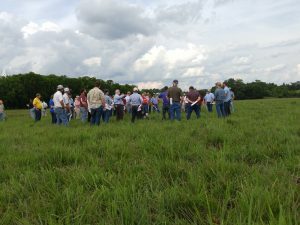 In June, I hosted a professional meeting attended by forage Extension and Land Grant folks across the southeast – a meeting that moves around from state to state each year. As the host for TN, I got to plan the full-day field trip. After having been deep in the Bermuda/Bahia belt for the last 4-5 meetings, I decided I would give them a pretty good dose of native grasses. After all, it was what I have been working on and I have seen very little (none?) of it on the tours those other states have hosted. 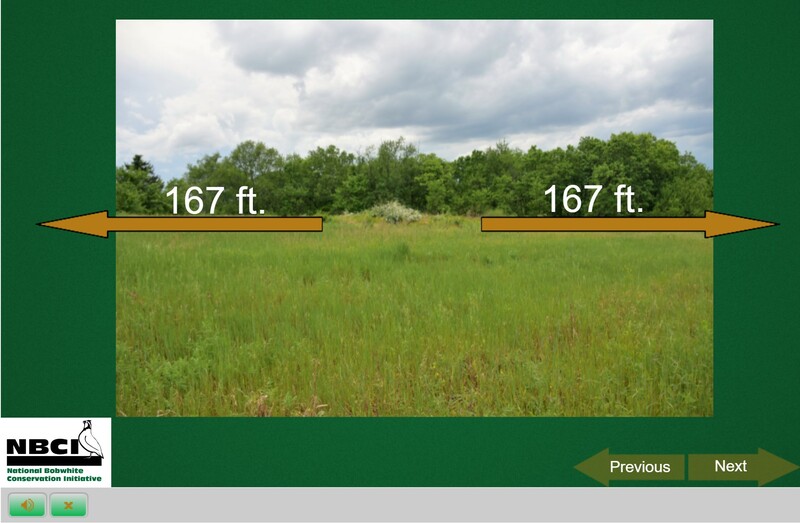 So we visited several native grass grazing projects and the feedback was very positive. I think these 70 or so forage professionals really enjoyed seeing something different, something they were not that familiar with. One of the attendees on this tour was the editor of the previously mentioned forage magazine (~40,000 subscribers, mostly serious, innovative, forage growers) who ended up doing two stories based on the conference. One was based on the research that one of my PhD students (Kyle Brazil, a former NBCI team member) is working on – grazing native grasses and grassland birds – and the other on a producer who has been managing switchgrass pastures for several years. 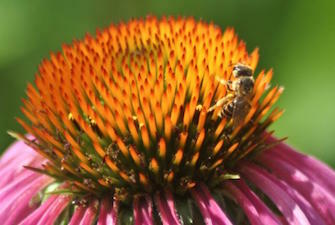 (Both articles are posted at http://nativegrasses.utk.edu/manage.htm under ‘Current Articles’.) It was the second one of these that had been sent out on the email version of the magazine. So not only did 70 forage professionals get first-hand exposure to native forages, but two articles were mailed to about 40,000 folks likely to have more than a passing interest in this subject. Not a bad day! But the fruit from that conference and tour seems to keep coming. Another attendee at this meeting was a colleague from Mizzou. He was interested in our work, enough so to invite me out to Columbia to conduct a seminar on campus that was attended by most of their forage team. That seminar generated some great conversation and I think, gave some of these folks who have worked in fescue for years some food for thought. As a side benefit, I got to visit Linneus (Mizzou’s main forage research area) where I got to see the three NWSG pastures they established last year in support of a grazing project proposal we have been collaborating on (an exercise that resulted from my trip out to the Mid-MO Grazing Conference back in 2013 when I set up a side meeting with their main forage researcher). While at Linneus, I was able to spend a good deal of time with their station manager discussing NWSG forages/management (we will be in very good hands there if the project is able to move forward!). In addition, my faculty host and I conspired to start some native grass forage research at the Beef Unit there at Columbia, work that appears to be moving forward with some help from MDC. Also, as a result of this initial visit, I have been invited back this winter to conduct an in-service training with all of their forage and beef agents. Like most of you, I seem to spend most of my days stubbing my toes, tearing out my hair, and going through various cycles of despair and hopelessness. So it’s kind of nice to see things work out like this. I guess this is the way we hope this whole system would run. But regardless of the ups and downs, the successes and failures, the road back to a world where native grasses can play a role on our farms is a long one, one that will be traveled one step at a time.